Preobrazhensky Life Guards. Campaigns and Battles. 1802The Regiment consists of 4 grenadier battalions (4 companies or 8 platoons in each). 1805 As a part of Grand Duke's Corps of Guards 1st and 3rd battalions left St. Petersburg for Austria on 22nd of August; in 2nd of December took part in the battle of Austerlitz; returned to St. Petersburg on 19th of April 1806. 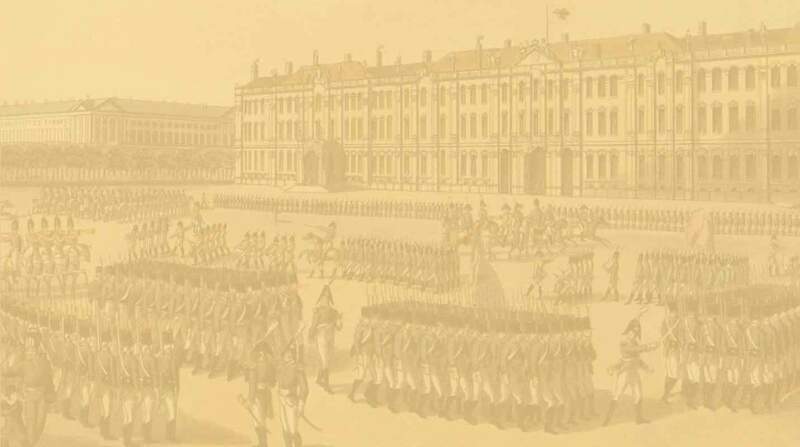 1807 In February the Regiment, consisting of all 4 battalions, started the march as a part of Grand Duke's Corps of Guards; on 5th of June took part in fighting Ney near Gutschadt and Altkirchen; on 14 of June took part in the battle of Friedland; returned to St. Petersburg in August. 1808 On 9th of September the 2nd battalion of the Regiment entered the Corps of Major-General Strogonov in Vilmanstrand (Finland). 1809 On 10th of March, being a part of Corps of Lieutenant-General Prince Bagration, started it's march to Sweden through the Aland islands; on the 14th of March fought enemy's rearguard on the island of Lomland; on 17th of March stopped on the Ekkero island, nearest to the Swedish shore, and after the talks with Swedes began moving back; returned to St. Petersburg in October. 1811 Regiment was transformed into 3 battalions; each battalion now comprised 1st grenadier company (grenadier and tirailleur platoons) and 3 fusilier companies. 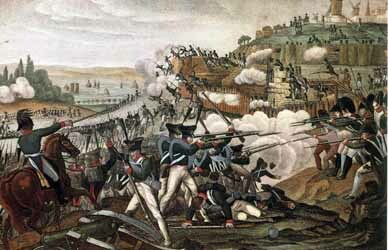 1812 As a part of Grand Duke's Corps of Guards, Regiment moved in March to Vilno, where entered the 1st Western Army of Barklay-de-Tolly; on 7th of September took part in the battle of Borodino. During French retreat from Moscow the Regiment was in reserve all the time and returned to Vilno in December. 1813 On the 13th of January the Life Guard crossed Nieman river in presence of the Emperor; on the 2nd of April participated in the grand parade in presence of the Emperor and the King of Prussia Frederich William III; on 14th of April triumphantly entered Dresden; on 2nd of May took part in the battle of Lutzen; on the 19th, 20th and 21st of May the Regiment was a central reserve under the command of Grand Duke in the battle of Bautzen; on 28th and 29th of August, being a part of 1st Guards Infantry Division under the command of General Ermolov, was distinguished in the battle of Kulm. Emperor Franc I has ordered to build on the battlefield a monument in honour of Russian Guards; names of Guard's officers, killed or deadly wounded on the 29th of August 1813, are written on this memorial. 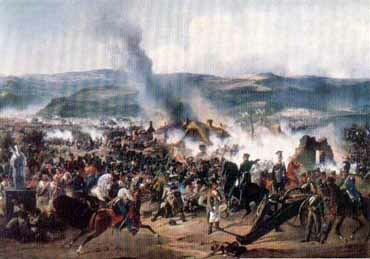 In the battle of Leipzig on 18th of October the Guard was in the reserve under command of Grand Duke. on 31st of March triumphantly entered the Capital of France; 1st battalion of the Regiment had it's bivouac near the Palace of Tuileries. 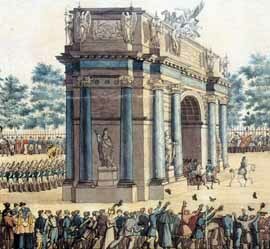 After more than two months staying in Paris the Regiment left for Normandy, on the 15th of June embarked at Cherbourg and on the 12th of August entered St. Petersburg through Triumphant Gates, constructed by the Emperor's order in memory of excellent service of the Guard in 1812, 1813 and 1814.